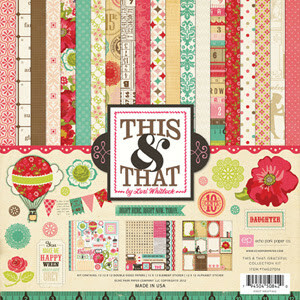 Today I am creating a mini book using the new This and That: Graceful Collection from Echo Park. I wanted to change it up, make something bright since spring is here! Although the weather in CA can't seem to make up it's mind. I have an abundance of roses blooming in the backyard and yet today the weather man is calling for rain and thunderstorms. Very weird for the end of April! Anyway, back to the project at hand...Love the colors and the patterns of these papers. I am working with the Graceful Paper Pack that has all the 12 x 12 papers, journaling cards and two 12 x 12 sticker sheets. This pack would make for a seriously beautiful Mothers Day mini book even though some of the phrases are geared toward a younger girl. I decided to make this a fun, not so serious mini. I am using the 7gypsies Index cards: naked scalloped as the foundation and one binding ring in the top left corner. The new scalloped cards are the same stock as the tabbed cards I love so much. Nice and heavy, great for dividers and book pages since they have a fun edge. 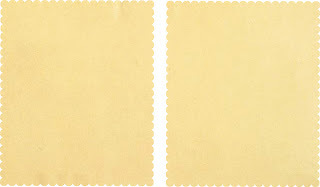 They also soak up spray ink without getting sopping wet or overly warped, distress ink works beautifully on the manilla paper and 20 pieces come in a package for $3.99. nice. I decided to use the new Dylusions spray inks I purchased after seeing them at CHA. With names like Cut Grass, Lemon Zest, Squeezed Orange, and Pure Sunshine you can imagine the inks are vibrant (nothing less than vibrant from Dyan Reaveley). There are 12 colors of ink so far...and I imagine more to come. So time to get out the inks and start on some foundation cards. A craft mat, paper towels and heat gun is a must for this technique, oh and some loud music couldn't hurt! Seriously love these ink colors. 1. Using your craft mat as a base, spray two complementary colors of ink next to each other (not on top of). Here I am using Lemon Zest and Vibrant Turquoise (I also added a spritz of water but that is not necessary). 2. Swipe your card through the ink. 3. Turn the card over and see what you got. 4. Dry with a heat gun. Don't get the heat tool so close to the ink on the craft sheet that you accidentally dry it too...we still need it! 5. Now back into the ink on the craft sheet and dry again. The key is to have the heat gun close by so you can keep swiping or smashing the card into the ink and then drying between each swipe. That way the colors layer on top of each other rather than just meld into one. 6. Alright I think this is where I will stop with this one. I like that some of the card color is showing through. I know some of you are thinking, "Paula have you lost your gypsy marbles"? 7. Ink the edges with Vintage Photo if you like...I do. Just adds another layer of color and makes it a bit vintage...I mean seriously I haven't lost all my gypsy instinct. So lets try another color combo: Bubblegum Pink and Feeling Lime. 2. Swipe... I still didn't pick up much color so I am going to keep going before I start drying. 3. Swipe...smash...keep turning...time to dry. 4. Smash a couple more times picking up more color....dry again. 5. Ink the edges to add that bit of brown I love. Love this one...definitely the cover of the mini. After playing with the inks for a while, I have a stack of cards prepared. I can pick through them and choose the ones I like for this project, save the others for another day. Super fun playing with the inks, love all the colors and the combinations you can make. I stuck with two colors on each card since two colors make more colors when combined. I also didn't worry about the the back being messy since I will be covering it up with patterned paper. I also wanted to mention that if you want to experiment with color combinations and might want to repeat them, it is best to write the colors on the back of your tests, otherwise it may be hard to identify the colors used once they start mixing. trust me on this one. This one is meant to be quick and fun. Not a lot of thinking, just creating. A bit of glue was used but also staples and a lot of sewing. I cut a stack of Graceful papers 4.5 x 5.5" so they could be adhered to the back of a scalloped card or they could be punched as another page. I also cut some plain manila paper the same size. I used the inked cards for the cover and 3 inserts. If you have an inked card that didn't turn out as well as you would have liked, just cut it up into smaller pieces or shapes. Sometimes I just cut off the scalloped edges and sewed them to pages. Here is the pink/orange card from the tutorial and of course my favorite stamp. I'm not over it yet. Journaling card as a fold out. Buttons added. Here is the green and blue card I made at the beginning of the tutorial. Paper pieces stitched on, stamps, Tim Holtz (Papillon by Stampers Anonymous). Extra scalloped piece stitched on and a small journaling card insert. After finishing the mini I had so much paper left that I made this layout. I used the same materials including one of the sprayed cards. If you would like to win either of these two giveaways just leave a comment. You have until Thursday at midnight to leave a comment to win. Beautiful mini book and gorgeous layout. You always inspire me! Awesome stuff! a great tutorial and a chance to win? how great is that! very inspiring, thanks for allll your efforts! love the spray ink...looks like fun and messy :) thanks for the chance to win, so pick me ...pretty please?! I love this mini! I am totally pinning it! Great technique with the mists too! As always, your creativity never disappoints! I always leave this blog so very much inspired! This mini book is so delightful and I love the bright, lively paper --so uplifting. Thanks again, Paula. Love the spray technique and the paper collection! Thanks for the tutorial, Paula. Great project and yummy papers! Thanks for the inspiration! love the paper collections & the demo on making the book with the inks.... mine just arrived, so can't wait to play. Gorgeous mini!! Beautiful papers-and I love what you did with the inks! What an adorable mini! That ink looks yummy too! Love the collection and love your book!! Love your mini book...thanks for sharing your step by step pictures. 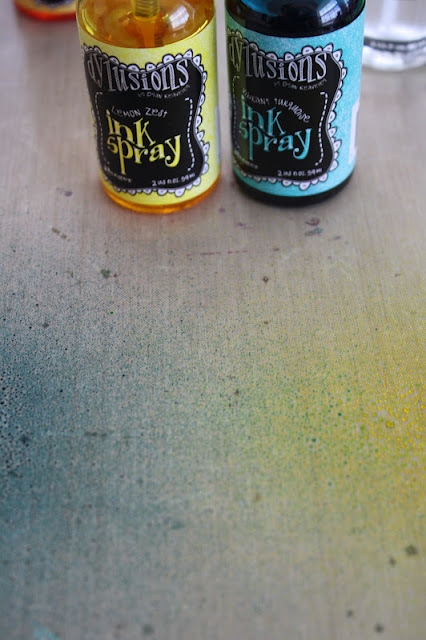 This is super cute..love the new ink spray..now, I am inspired to go get a few ...I like me some messy ink sprays...the colors csound good enough to eat! Love what you did with the sprays. Have to get over my fears. Love the mini! I have been eying this collection for so long that I would EVEN take the one you cut up :)! The Dylusions Inks look like a lot of fun too!! What a super spring-y project. Made my heart sing. Paula: I have a question re: sewing with/on paper. What needle so you use (sharp or ballpoint)? Do you adjust the tension? Does the stitch length have an impact? Thanks again for all your inspiration and direction(s). So a cute mini book...and the paper is fabulous! 1. I use a sharp needle so it can pierce the paper easily. 2. I do not always adjust the tension. My rule: the thinner the paper the larger the stitch. 3. Yes, the stitch length matters. When you are working on thin paper you must use a larger stitch so the stitches do not perforate the paper too closely (or else you will just cut the paper in half with the stitches). On standard scrapbook paper I usually adjust up a bit. On cardstock it does not matter. Vintage paper is the hardest to judge...usually trial and error. You know, my mother would roll over in her grave if she knew I was sewing paper with my Bernina sewing machine! Love what you did on here! Fabulous mini! They are my favorite to create to keep and for gifts....thanks for the inspiration! Of course I'd love to win. :) Beautiful mini book and love the This and That paper. Love, love, Love your mini:::thank you, as always, for showing your techniques!!!! Wonderful papers and wonderful project. I'm amazed at how "easily" (at least you make it seem really easy!) you can "whip up" a mini album. Stunning! Thanks for sharing and thanks for the chance to win! Thank you, Paula, for the machine sewing hints. I agree, my reluctance has been using my 'good' machine for PAPER! I am determined to 'get over it' and enjoy creating. your tutorials always make me want to run out to the art shed...more! more! Love love love the mini book. I would love love love to win the gove away too! Thank you. What a bright, cheerful book! I love the effect of mixing the inks - so cool (or should I say hot?!) Would love to win this! Love the bright, springy colors-very "mod!" Thanks for all the great inspiration! Beautiful, bright backgrounds! TFS Your book is great, too! Another beautiful project! Everything you do is so inspiring. I love that you teach so many techniques, too. I love the mini book. I want to make some and have the supplies but haven't gotten to it. You have inspired me to just go for it. Thanks. Sweet mini album! And aren't those dylusion sprays fabulous? I had to order all 12 colors... they are awesome! OMGoodness! I have been loving your blog but this mini book just WOWED me. You totally ROCKED it! THANKS! This is such a pretty combination of colors--very spring/summery! This is beautiful! I have that same stamp (flowers) and I love it too. Love your beautiful mini book! Oh my gosh! I just love what you've done with this mini book....and Echo Park is one of my most favorite papers. I'm wanting to use this line with my daughter's pix. I would love to follow the directions of this mini book along with the paper. Hope this is okay. 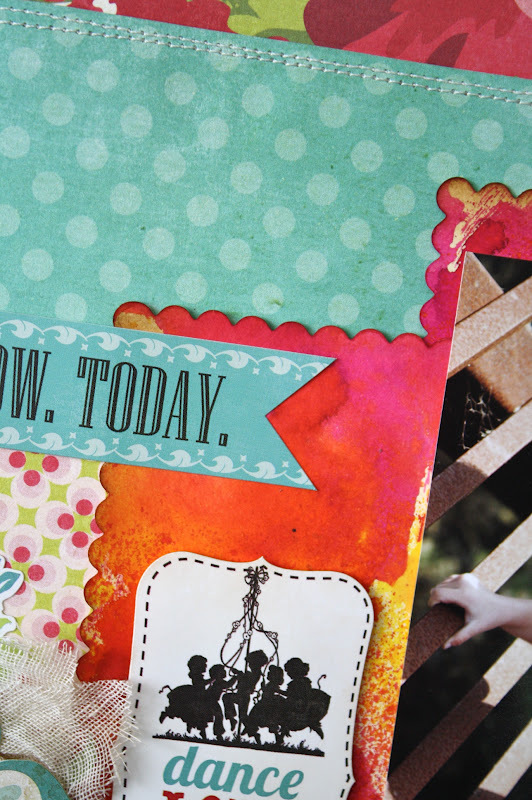 I love the colors in this paper collection; so retro and cheerful! You always have the most inspirational projects. Love that paper line. I adore your mini book. I really want to just get all inky now. Thanks for the chance to win. Inspiring! Always amazed at how easy you make it look. Will be trying this one for sure, thanks, and hi to fellow Yank! I love Echo Park papers!I want to win!! Fabulous show and tell! I love these projects, the colours are just amazing. How beautiful are these pages? I love them. I have got some of Dyan's inks - Inky Fingers here I come! What a beautiful mini! I was fascinated with how you made each page and would love to give this a try. I have never made a book but have a new granddaughter and would like to make a page a month with photos. This is a wonderful inspiration - thank you! I love your tutorials!! Thanks for sharing your artistic awesomeness and for the chance to win such cool stuff!! Great mini book, Paula. I too am in LOVE with all things Dyan Reaveley! 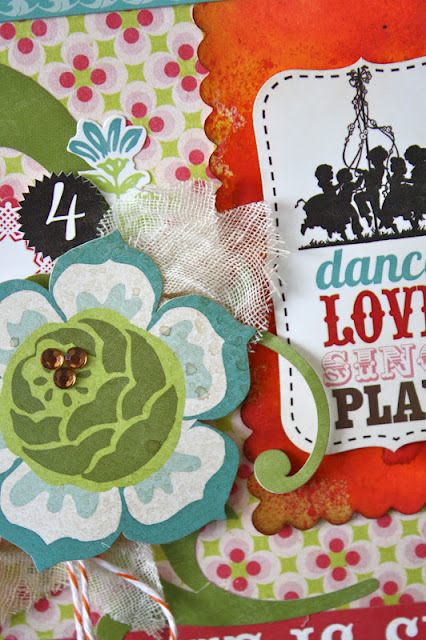 Love all of her bright colors and funky stamps and stencils. I haven't - as yet - splurged for any of the Dylusions spray inks. But after your tutorial, I think I need some! 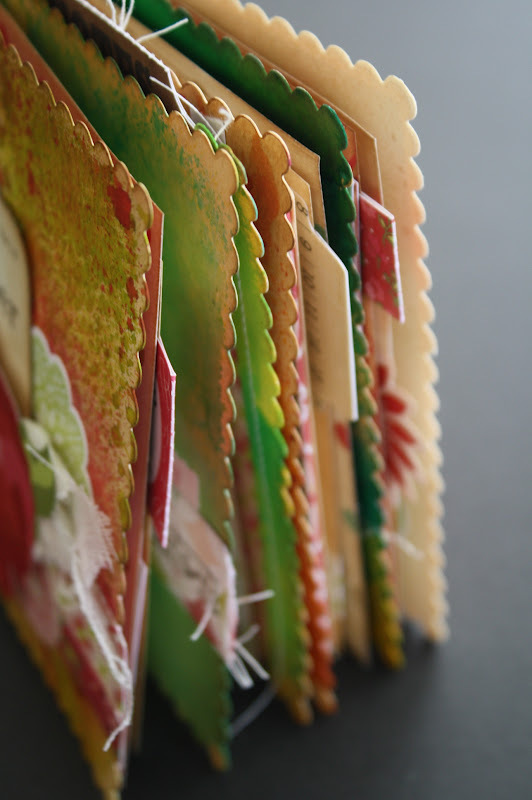 LOVE the idea of a free-form summer journal with these colors and the Index cards. I've been in a brown, red, black phase for a while. I think that's about to change! Thanks Paula for the inspiration. May I please skip work today. I just want to get my hands on that ink! Would this technique also work by putting drops of spray ink in a water bath and then dipping the paper in? (or is that only for alcohol inks?) The craft sheet seems like it gives a sharper contrast to the colors than the water bath - plus the drying time is decreased. Love This & That from Echo Park!! I'd be more than happy to take the left over kit, but of course happier to win your mini! Thanks for the inspiration. The paper is gorgeous but it's your technique in putting it all together in the mini book that makes it shine. Love this project! You are both so creative. Can't wait to try this at home. Thanks for the inspiration. You make it look so easy and it is beautiful. I love the large scrapbook layout! I am so glad I found your blog. Such a pretty mini scrapbook. I love this paper collection. My 16 year old granddaughters would love something made from it. Thanks for the chance to win! What a sweet book and such a fun project. I love the patterns in that paper pack. Thanks for the inspiration once again! Oooooh! I'll add my name to the list of 'Hoorays'! You took some pretty paper, and made it into 'FANTASTIC!' thank you for all the fun pics. I'd love to win, so I could make one too! Such a cute little book! Thanks for the tips on spraying the pages. I love Echo Park paper! I have a few papers I tried inking like that but I didn't like them very well. So I'm going to go back and punch shapes out of the good parts and I bet I'll like them better. Thanks for the inspiration! Loved the album. The ink colors are so pretty and vibrant. Thanks for the chance to win. Thank you for the wonderful pictures and descriptions. I love your mini and want to go make one right now!. The "dipping method" will work with the inks but it's very similar to coloring an Easter Egg, in that it gives you a lighter, all over color. You can move it around and get some effect but it is still very subtle. I love that paper it's so beautiful and fun. You did an amazing job with the mini album. I love the way you did the colors on the pages and the stamping. It's a gorgeous mini. Thanks for sharing. Absolutely beautiful! Love the bright spring colors and with that touch of vintage of photo on the edges just fabulous! Who knew bright colors could still be vintage! Thanks for all the inspiration! Love, love, love the book, the colors, techniques!!! You're so amazing Paula. I think your album is gorgeous. I fancy one too. Paula you are amazing. And really loved the Paris pictures by the way. you really made a nice book. i love all of the bright colors. thank you for sharing. For the about the first time ever, I am totally into mini-books, so I loved your post. How many can I make, and how many different types are there? It was fun seeing the results of your experiments with the Dylusions spray. I need to go right upstairs and try that. Fun blog; it was my first time here. Maybe I'll have beginners lucky with the give-away? Who knows, it could happen. Enjoy!! Would love to win the Echo Park "This & That, Graceful" paper pack. I love the colors and combos of paper in it. I also love the way your mini book turned out. What a Fun looking book and paper! Thanks for the chance at the drawing. Love it! Very bright and spring-y. love love love the paper and the mini book is Adorable!!! Would love to win either one! thanks for the chance! Love your book and the paper pack. Beautiful project!! Love the tutorial...Thanks!